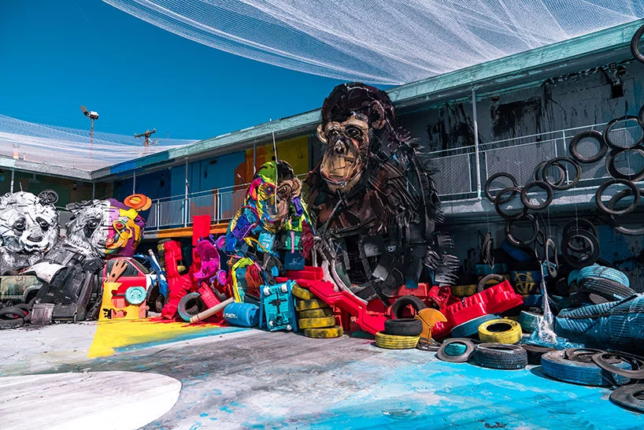 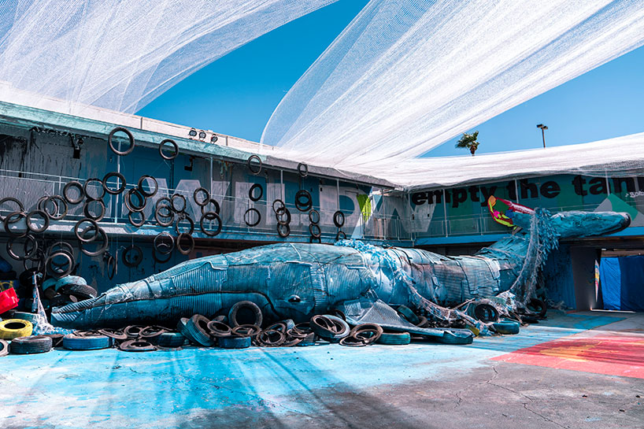 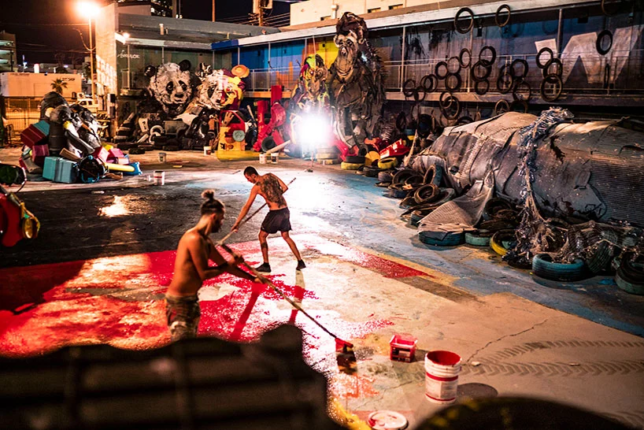 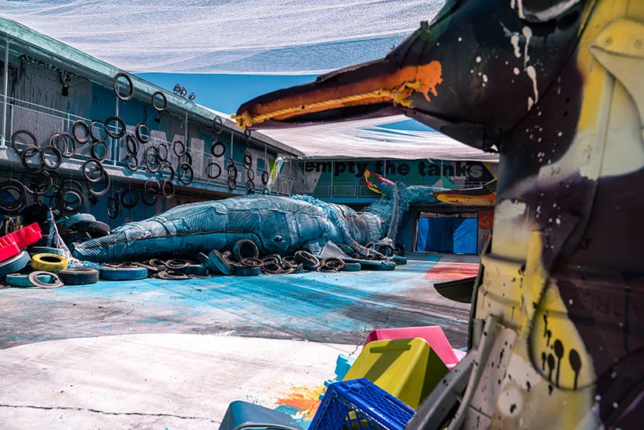 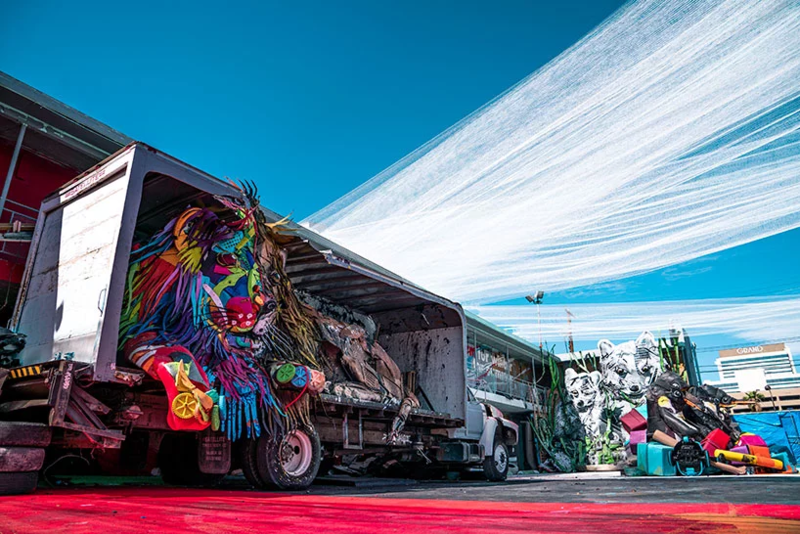 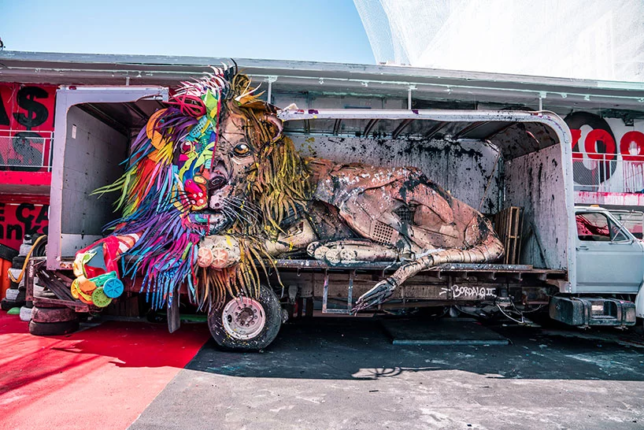 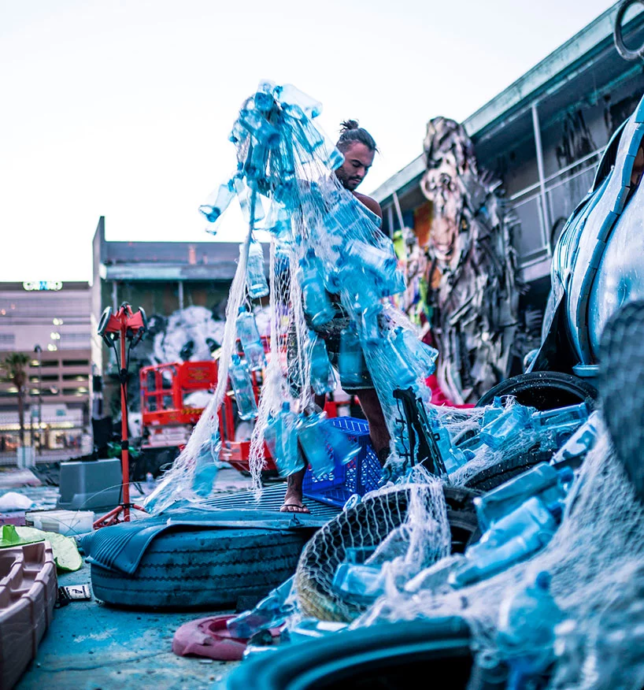 A classic mid-century roadside motel in Las Vegas has been turned into a fantastically colorful habitat for a series of huge animals, constructed from waste collected from dumpsters, abandoned factories and scrap yards. 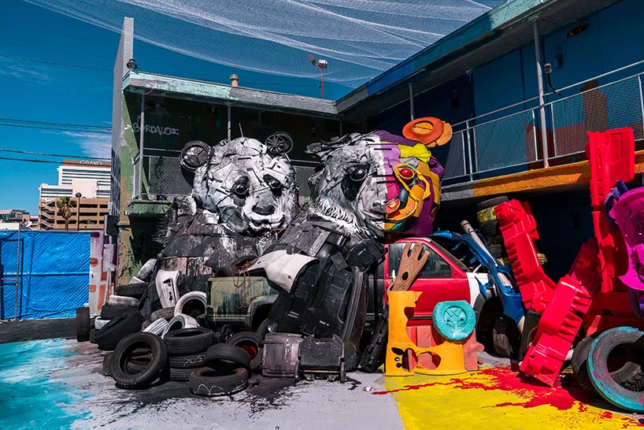 This 10,000-square-foot zoo parody (dubbed ‘Wild Wild Waste’) by artist Bordalo II is his biggest installation to date. 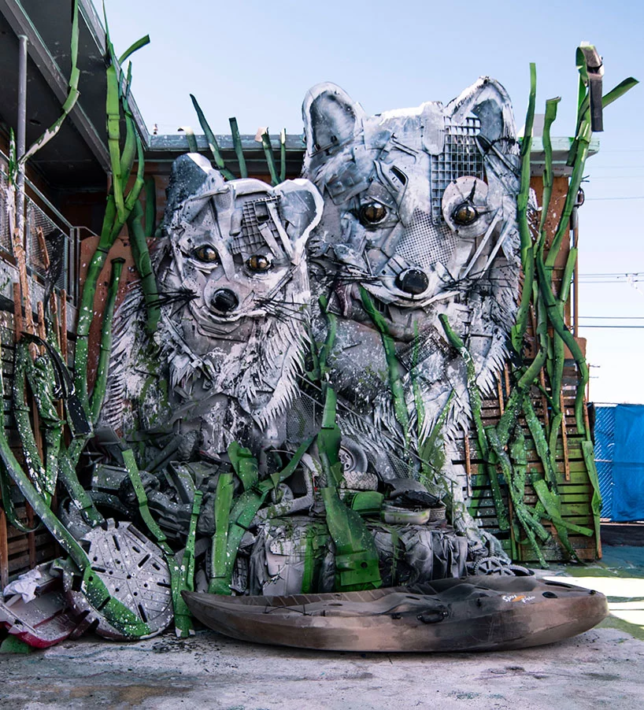 It’s designed to make statements about the commodification of animal habitats as well as human waste production and management activities. 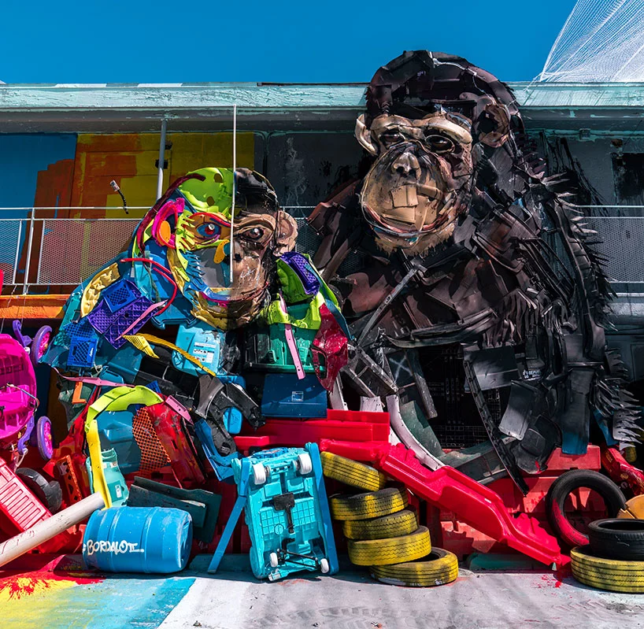 The animals are simultaneously visible as a whole and a set of parts. 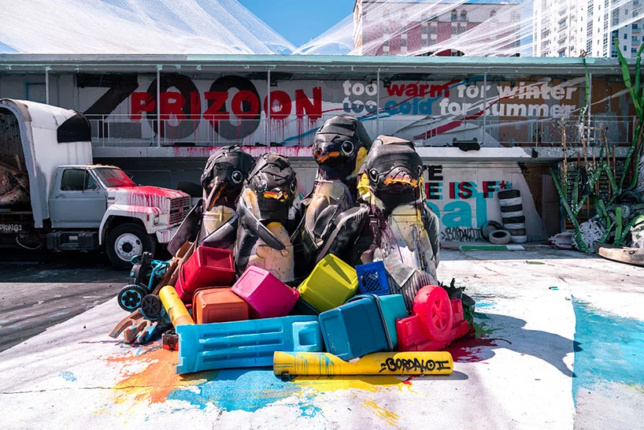 A flock of penguins emerges from plastic cubes, car parts morph into a family of pandas, while a whale caught in a fishing net and lion caged in a truck further highlight ideas of confinement.